I love living in California. Sure the silly smog laws and high registration fees are a pain, but when it comes to cars I can’t think of anywhere else in the USA that I’d rather be. When you picture Californian car culture, it’s probably first the world-famous SoCal that comes to mind, and then the San Francisco Bay area which has its own bitchin’ automotive scene. There’s much more to the state than that though. I, for example, grew up and currently live in California’s Central Valley – the agricultural rich region that stretches from Sacramento in the north to the Grapevine in the south. Endless farmland and foggy winter mornings might not be included in the idealistic vision of California, but I don’t dislike living here. Sure it might not be the most exciting or scenic place in California, but real estate (and garage space!) is affordable, traffic isn’t an issue and the beautiful Sierra Nevada mountains are just a short trip away. Better yet, I can be in either Los Angeles or San Francisico in just a few hours. All in all, it’s not a bad place to set up shop. 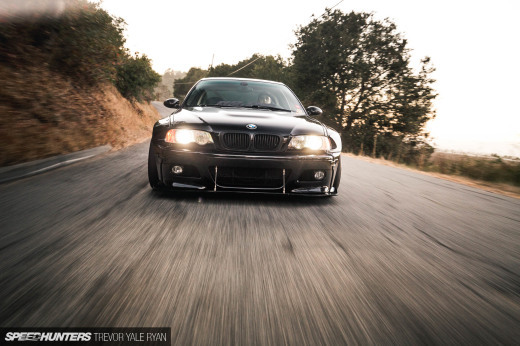 As far as car culture goes, the valley doesn’t have quite the same action you’ll find in LA or the Bay Area – but there are some people doing some very cool things with cars around here, and I’m about to show you one of them. Welcome to Stone Custom Fab. I was first introduced to Jacob Stone through his amazing Chevy work truck, which as you read in my story was randomly found one night parked down the street from my house. When I went and visited him at his shop a few weeks ago I found a place that is taking the art of low down to the next level. Jacob actually hails from Salinas, California but he came to the Fresno area for college, got into the custom fabrication and suspension business several years ago and hasn’t looked back. Since starting his own shop, his business has continued to grow and he now has customers from all over the state. While Jacob is one hell of a talented fabricator, he’s actually much more than just a metal man. 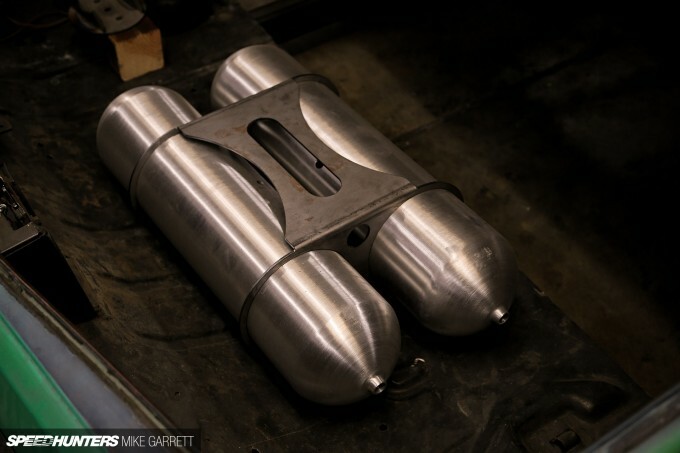 He puts an impressive amount of design work into his one-off parts and this shows when you look at some of the stuff he’s done. 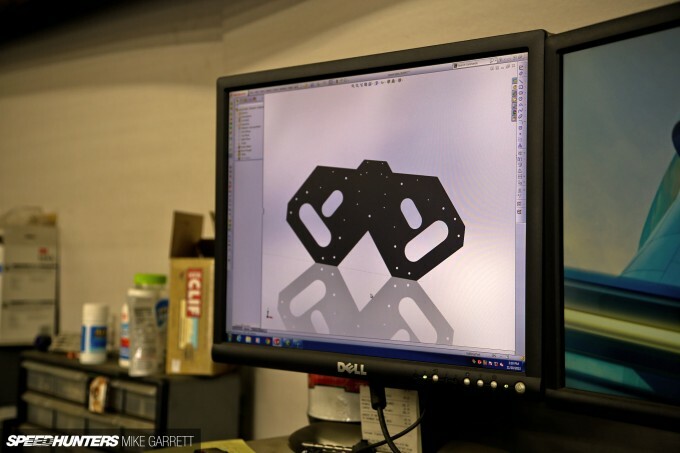 For starters, all of his original parts are laid out first on his in-house CAD system. 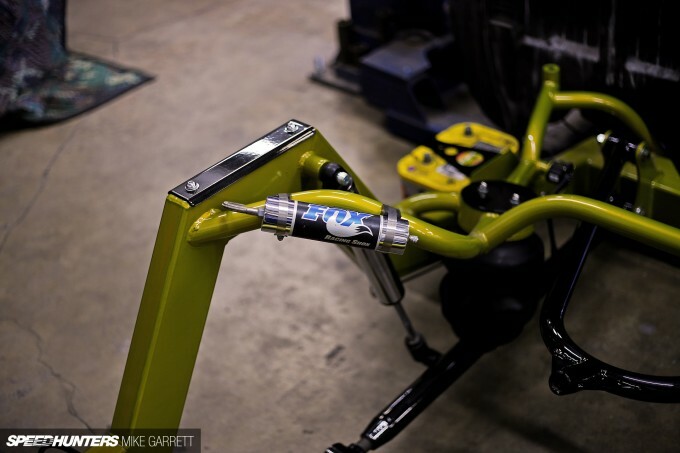 Everything from minor brackets and mounting plates to full-on custom chassis designs. 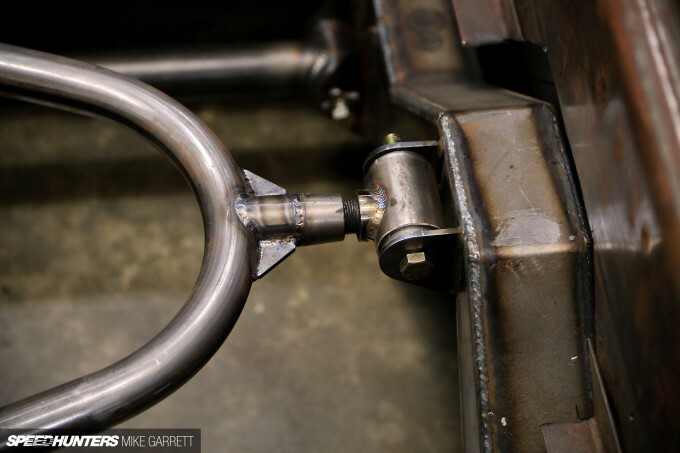 Because he does both the designing and the actual fabrication himself, Jacob says he’s able to bridge the gap that sometimes exists between the engineering guys and the actual metalworkers. He knows exactly how his concepts will be built and applied in real life – because he’s the one who will actually be building it. 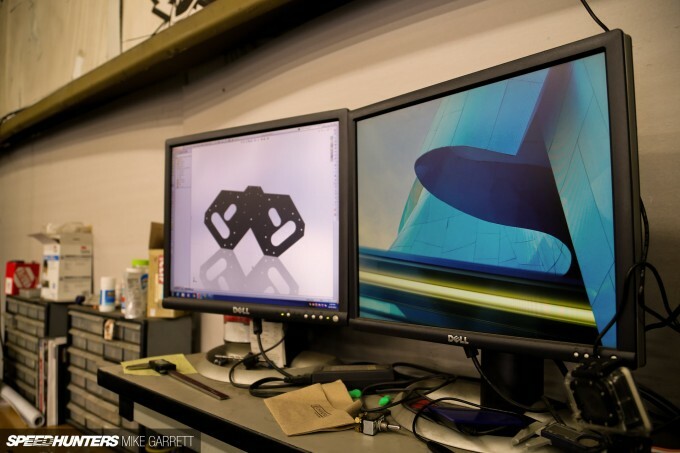 And when it comes time to actually construct those CAD images in real life, Jacob has an entire corner of the shop that’s filled with all of the machines and equipment necessary to make them a reality. 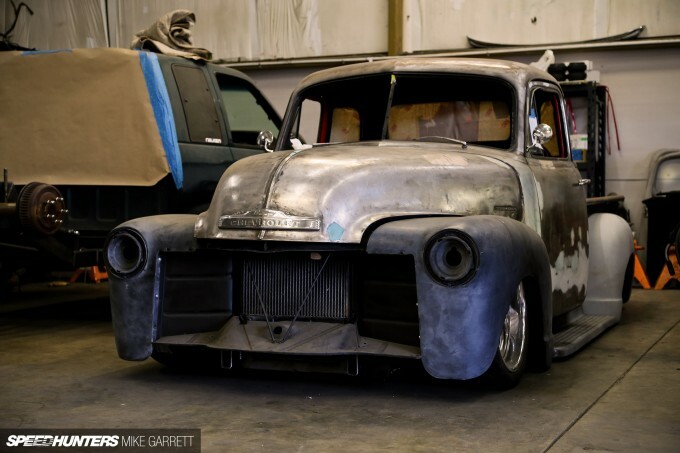 A good part of Stone Fab’s business comes from pickup trucks, and whether or not you enjoy the style of a lowered pickup, it’s impossible not to appreciate the work that goes into them. Especially when you visit a shop like this. 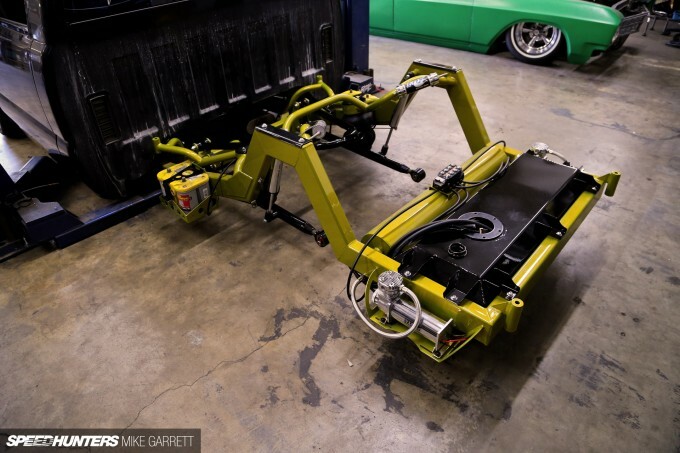 For a while, when you wanted to lower a truck, you’d use basic parts like drop spindles and lowering blocks. Then came the air bag revolution, and now when you want your rig to really sit low, you dig in and alter the frame itself , or sometimes have a new one constructed from scratch. It’s called body dropping, and when maximum lowness is required, that’s what you do. 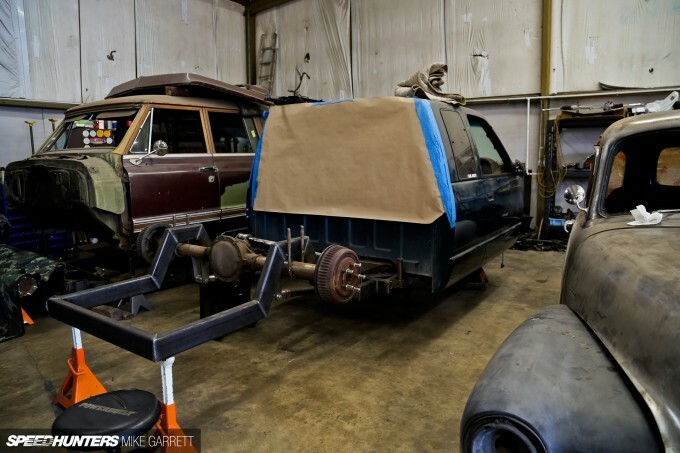 When looking at some of the project trucks that were sitting around the shop, it was easy to see the dramatic changes that occur when Jacob gets hold of one of these pickups. What I like about these trucks is that while the lowering techniques might be quite different than a lot of the cars we’re used to, the finished result is just as impressive and just as detail-oriented. Like a lot of the great builds out there, body panels will end up covering most of this meticulous chassis work. Kind of a shame really. 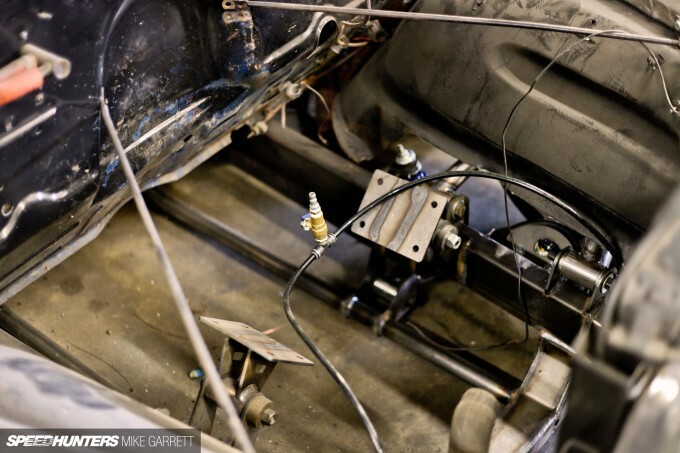 Along with the late model pickups, Stone Fab also does plenty of work on vintage vehicles. 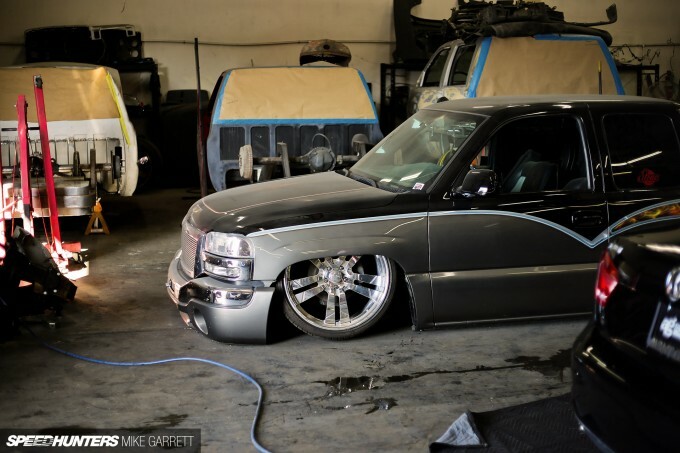 While I was there I caught this Chevy truck that was already sporting a Stone-approved ride height. 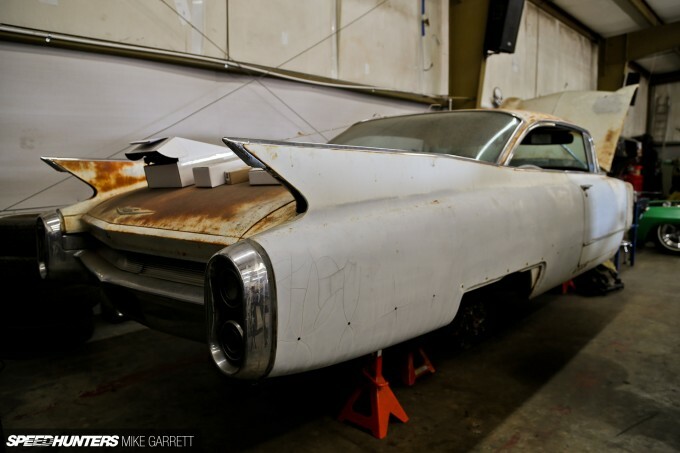 This Caddy meanwhile still has quite a way to go, but there’s no doubt this finned beauty is going to be something special once it’s finished. 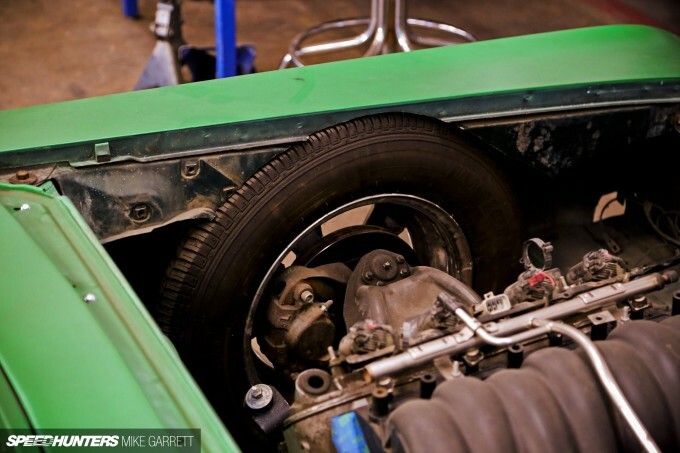 Of all the projects that were in the shop when I visited, I think the one I liked most was another one of Jacob’s personal projects: a car he’s been slowly working on as time allows. It’s a Buick Skylark, which as you can see has been rightfully dubbed the Lowlark. What’s especially cool is that the car is built out of a four-door hardtop model, which isn’t something you see a lot. If anything, I say the four-door lines make the car look even better. 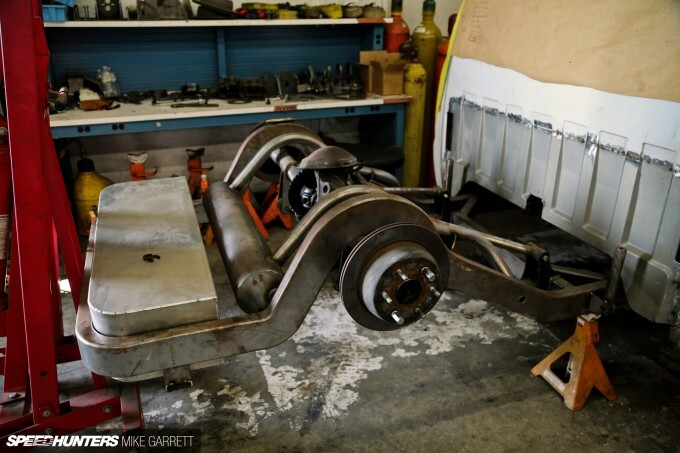 Naturally, the Buick is sitting on a full custom chassis that like the work truck, will show exactly what Stone Custom Fab is capable of. Just look at the tire clearance, or lack thereof! Insane. 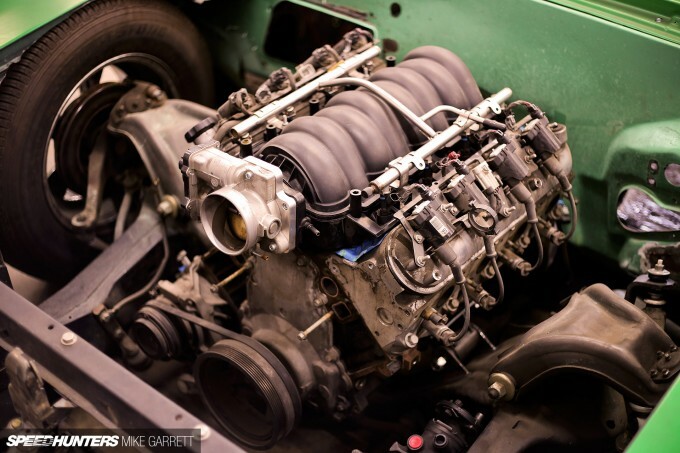 For some added juice, the car is also sporting an LS swap – with the aluminum small block fitting in the Skylark’s engine bay with plenty of extra space. I’m very much looking forward to stopping by the shop from time to time to see the latest progress. You’ve got to like where this build is going. 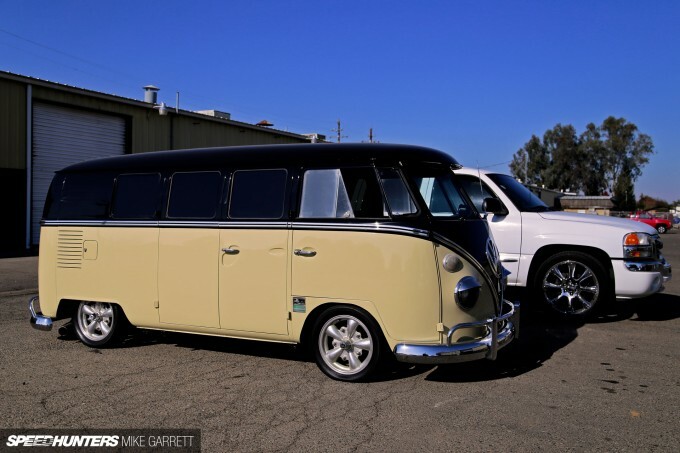 Another build that will be getting underway soon is this Volkswagen Type II. Jacob didn’t tell me exactly what’s planned for it, but I have a feeling it’s going to be pretty wicked. Speaking of VWs, when I stopped by the shop Jacob had just finished up an air suspension install on a brand new Passat TDI owned by a friend from Southern California. The kit used was none other than one of Air Lift‘s complete set-ups. 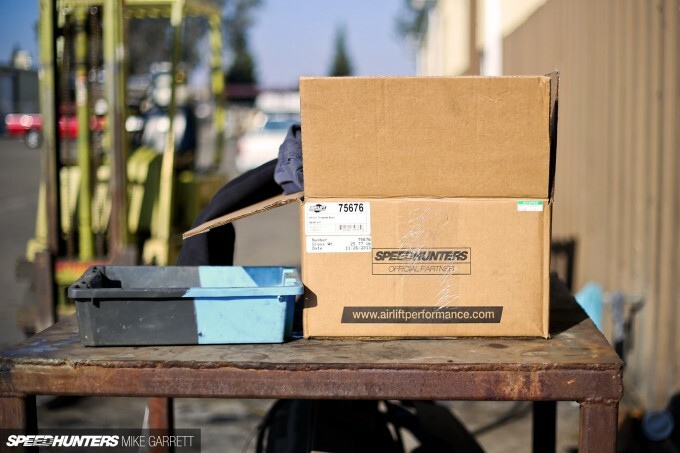 I have to say it was pretty humbling to see the Speedhunters logo right there on the box. And how about that Passat? There’s certainly something cool about a big roomy sedan that can sip fuel on the highway and lay out like this when needed. 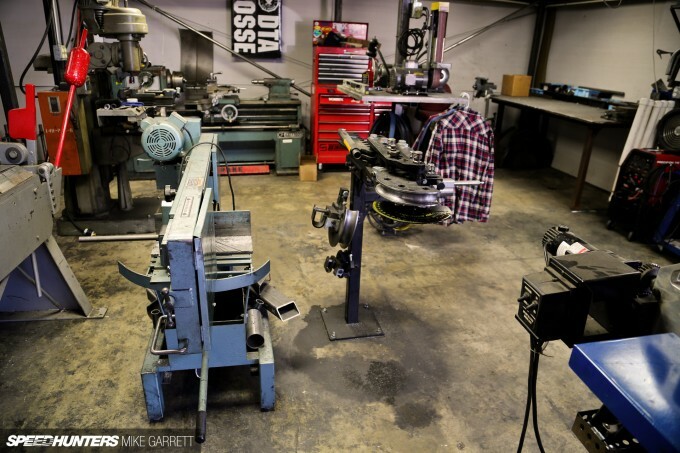 All in all, my visit to Stone Custom Fab was an eye-opening experience and it’s hard not to have some pride knowing a place like this can be found just down the road. 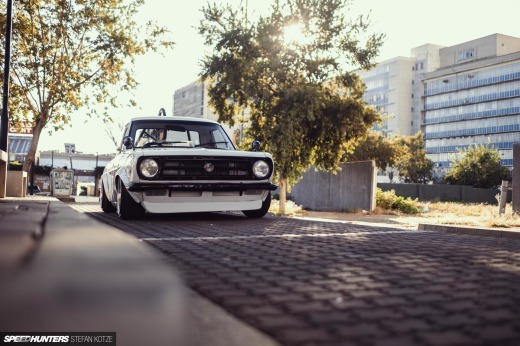 If you think you live in a place with a lack of exciting car culture, take another look. You never know what you’ll find in your own backyard. Body dropping refers to chopping/modifying the floor of the cab too, not chassis mods. Great story, would love to see a follow up on the lark. Thank you! Just what I was going to say. The frame work would be a step notch, and a body drop is raising the floor so the body sits lower. I am still blown away by the shop truck. It is pretty damn cool, and I can't believe how low it is. I'm looking forward to the finished LowLark, great post! @Brent Bodydrops started out by just cutting the floors, but usually today people do what's called a "stock floor bodydrop" when you build a frame that's lower in height and doesn't require cutting the floors. I think that's the type Mike was referring to. The four link on the Lowlark is nuts. 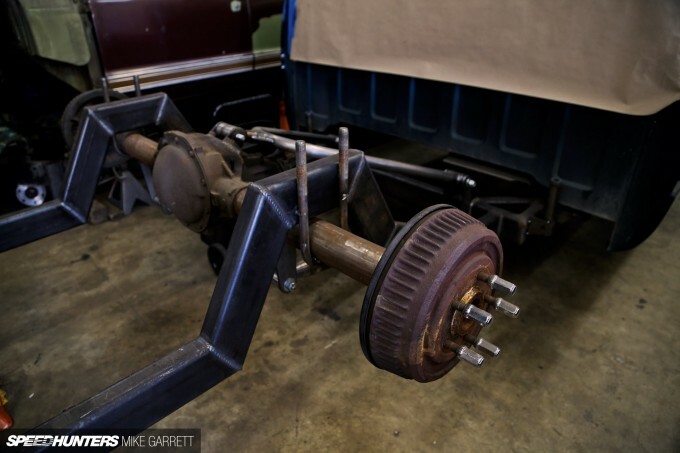 I've never seen the upper links curl around the axle like that but it looks like a great strategy for floor clearance when he welds the sheetmetal back in. 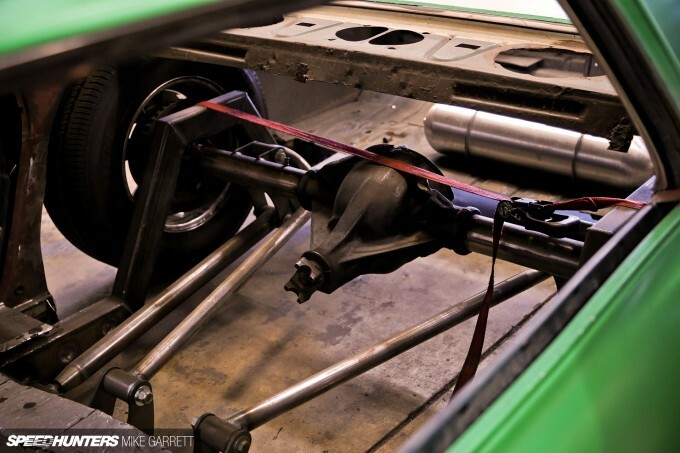 Still, modifying the frame isn't a body drop; you may build a frame to incorporate a stock floor bd ? In Australia traditional bd's are easily the most popular, you hardly ever see stock floor or channeled trucks, but then again we aren't allowed to modify our frames to such an extent as you guys. Both are on the east coast, north of Sydney. the cut line, just behind rear door...is that fab to create suicide door? Please tell me they aren't going to hack up that TYPE II VW Bus? I hope not! Big fan of Jacob's skill... Some huge talent. I think it'd be cool to leave the bed off and go with some mud flaps. I'd do it. Maybe some SuperSwampers for the extra aggression/wtf factor. Fresno is close enough to me.... 3 hours or so... Hmmm. Awesome article. The correct term is "channelling".